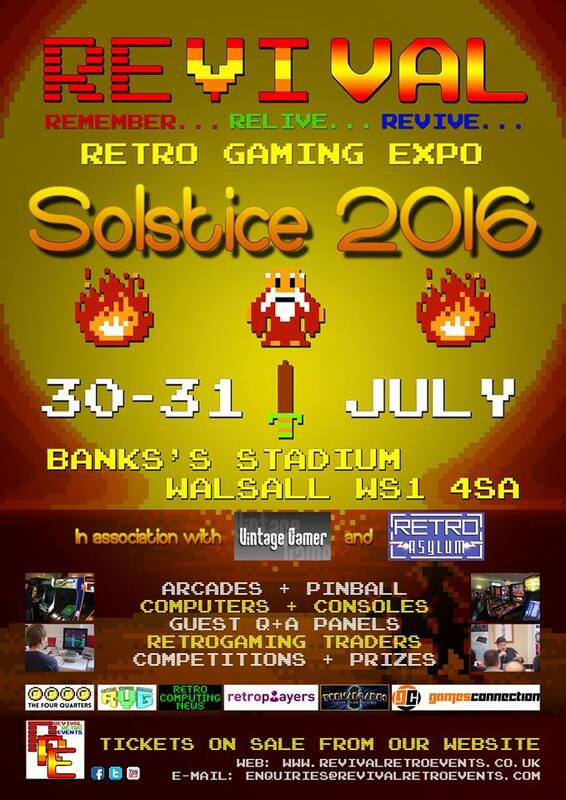 Myself and Jim Watt (Author of NOX) will be appearing at Revival Summer Solstice 2016 demonstrating Death Chase / Nox, Galaxy Wars / Space Launcher and previewing my upcoming lightgun games. The day-ticket giveaway competition is now closed. Congratulations to the winner, David Dewson. Hopefully see some of you at the show!